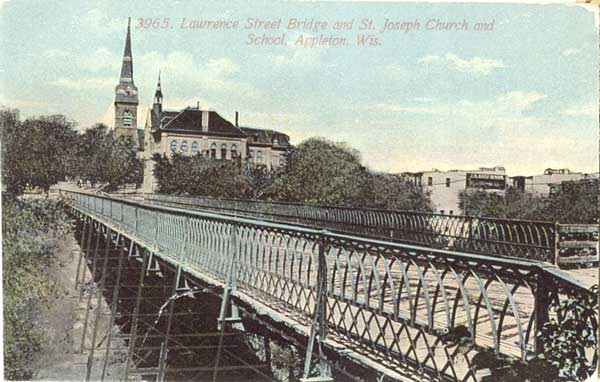 In 1867 the Roman Catholics in Appleton split by order of the Milwaukee Diocese: the Irish Catholics remained at St. Mary's on State St. and the Germans formed St. Joseph. 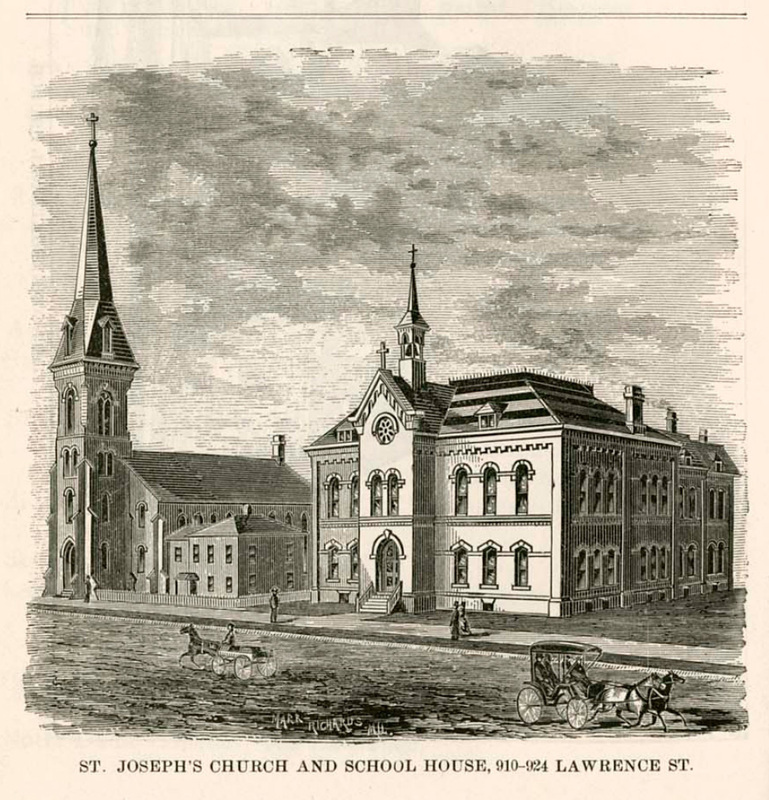 According to the 1989 historic building survey, the first St. Joseph church was "the Old Third Ward wood school house purchased for $150 and moved to the property on Elm Street." 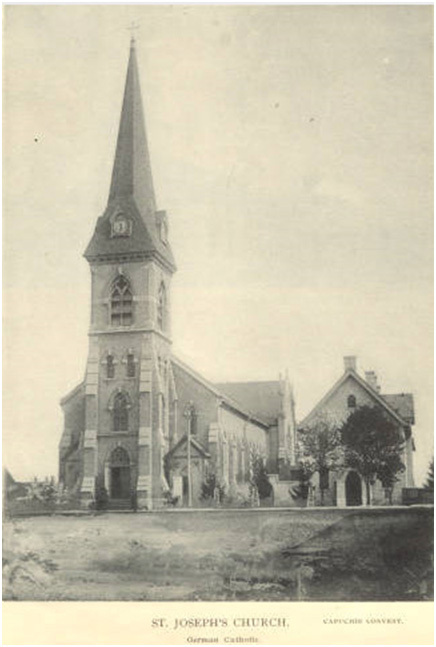 The first mass was held in 1868 with the formal dedication also taking place that year. The present Gothic style building, designed by architect William Schnickel, was erected in 1872. Since then many additions and modifications have taken place. St. Joseph German Catholic Church and Capuchin Convent. Reproduction of photograph by J. E. H. Stimson, from Appleton, Wis., Illustrated , 1892. Used with permission of the Appleton Public Library. 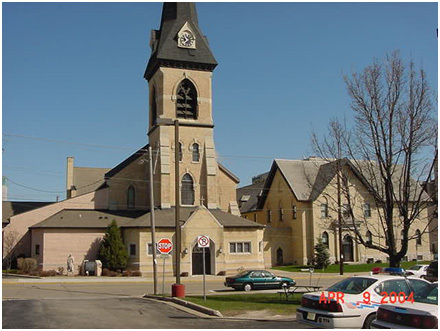 St. Joseph's Church and schoolhouse. Reproduced from Morrow and Gillett's Appleton city directory, for 1889-90. Used with permission of the Appleton Public Library. The Lawrence St. bridge spanning the ravine. Postcard, ca. 1911, used with the permission of the Appleton Public Library.